Austrian group OMV and Romania’s largest oil and gas producer OMV Petrom remain committed to the Neptun Deep offshore project in Romania’s deep waters, but “the country’s political risk has increased” and the investors “must [first] regain confidence [before going ahead with their projects]”, OMV managing board member Manfred Leitner said at a press conference with investors. Romania departing from a liberalized market model is a bigger concern than the capping, for a certain period, of the price of natural gas, the OMV representative stressed, according to local Profit.ro. The local gas market “is going illiberal” and this depressed investors’ confidence. The fiscal legislation has tightened and the political risk has increased, he added. OMV Petrom keeps discussing with the Romanian Government about “fair regulations” that would make the investment decision possible. "What we need is, of course, much greater fiscal stability. I do not want to see any more surprises like the one I saw on December 29 (GEO No. 114/2018 - nr). We need competitive terms, we need a liberalized gas market, and we must, of course, have the key infrastructure in Romania to export our volumes, because this project is designed for Europe, not exclusively for Romania”, Leitner concluded. 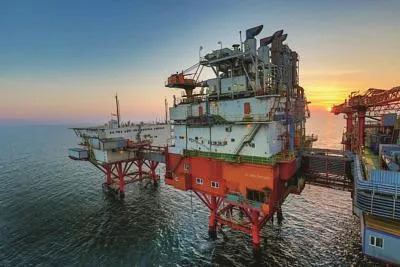 In the same day, the operator of the other major natural gas project in Romania’s offshore, Black Sea Oil&Gas (BSOG) announced that it would go ahead with its USD 400 million investment project. BSOG noted, however, that it expects to avoid the negative impact of the recent legislation (since it breaches the EU Directives).